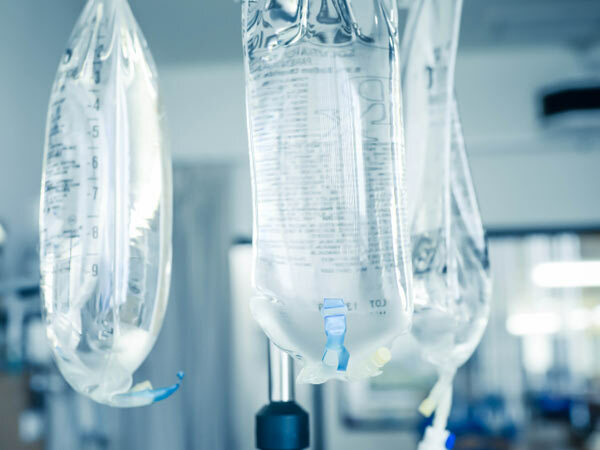 This page is dedicated to providing a comprehensive resource that covers the topic of intravenous fluids that are commonly used in medicine. A related but distinct topic is the page dedicated to managing electrolytes. 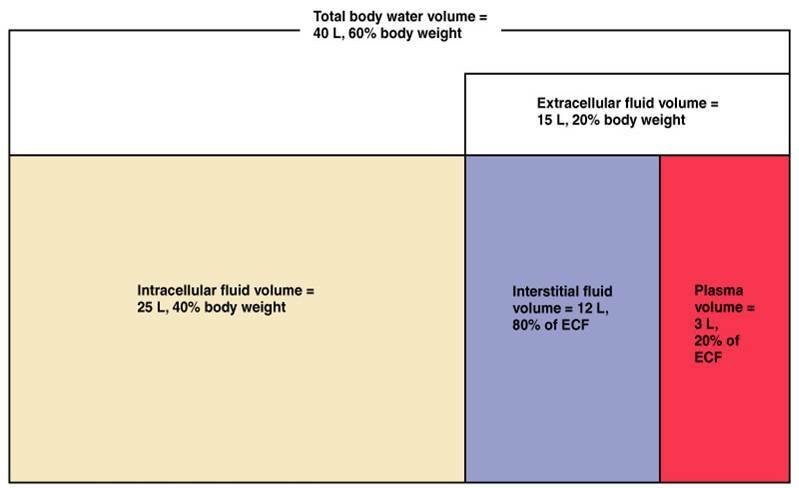 Before discussing specific IV fluids, it is important to try and appreciate the different compartments within the body that store fluid. The initial branching point is to discuss intracellular vs. extracellular fluids. The majority (~two thirds) of the total body water is present within cells. The principal ICF cation is potassium (K+). A significant portion of the body’s fluid is present outside of cells. The principal ECF cation is sodium (Na+). ECF fluid can either be intravascular or interstitial. Oncotic pressure and hydrostatic pressure dictate the movement of fluid between these two ECF spaces. ~80% of the ECF is present in the interstitial spaces of the patient. ~20%of the ECF is intravascular (in the plasma of the patient). This term refers to the measure of the solute concentration per unit VOLUME of solvent. This term refers to the measure of the solute concentration per unit MASS of the solvent. This term is the measure of the osmotic pressure gradient between two solutions. Unlike osmolarity IT IS ONLY INFLUENCED BY SOLUTES THAT CANNOT CROSS THE SEMIPERMEABLE MEMBRANE BETWEEN THE SOLUTIONS. It is for this reason that you can have two solutions that have the same osmolarity (iso-osmolar) but have different tonicities (they are not isotonic because of the nature of the solutes they contain). A perfect example of a solute that will not contribute to the tonicity is dextrose because it can so easily penetrate cell walls and move between fluid compartments of the body. It is for this reason that 5% dextrose in water, when infused, is iso-osmolar with body fluid compartments (~300 mOsm/L) but is also hypotonic. Urea is another example of a solute that does not contribute to tonicity.